Who knew contributing to charities was so cold? 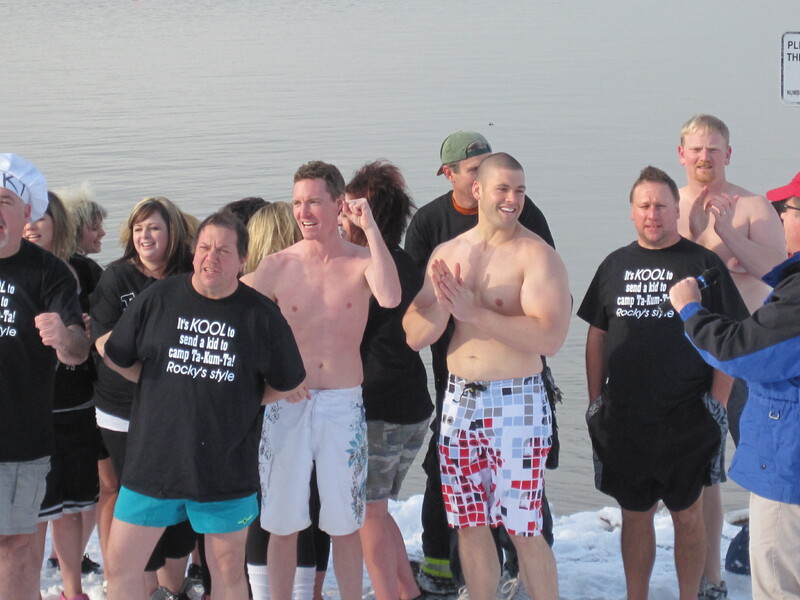 Seems every time you turn around in the winter, people dive into half frozen, frigid lakes to raise money for one good cause or another. 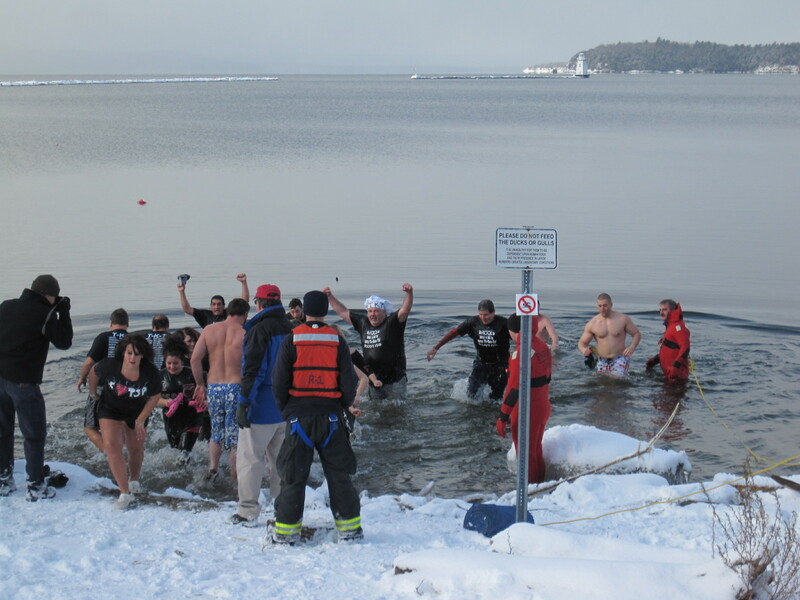 A group of people get ready to plunge into Lake Champlain in Vermont Friday to benefit a camp for kids with cancer. Yesterday, a group jumped into 37-degree Lake Champlain at Burlington, Vermont’s waterfront to raise money for Camp Ta-Kum-Ta. The excellent camp in South Hero, Vermont is for children with cancer or who have had cancer. Me, I’d rather help a charity by writing a check while fully clothed in a warm, dry room, but what do I know? Gawd knows people are always telling me to go jump in the lake. Into the lake they go. The water temperature at the time was 37 degrees, the air temperature was 20. Hmmm, not a good trend. I have invites to dive into Lake Willoughby in Vermont’s frigid Northeast Kingdom 0n New Year’s Day, and to run into Lake Champlain on some icy day in February to help Special Olympics. Everybody seems to have fun at these winter dives, but I’m a whiner. If I’m already freezing my azz off during the winter, why make it worse? Still,the people who jumped into Lake Champlain yesterday looked like they were having a good time. This entry was posted on December 18, 2010 at 7:50 pm and is filed under Uncategorized. You can follow any responses to this entry through the RSS 2.0 feed. You can leave a response, or trackback from your own site. that’s insane. the h2o has to be at least 67 degrees before i get in.